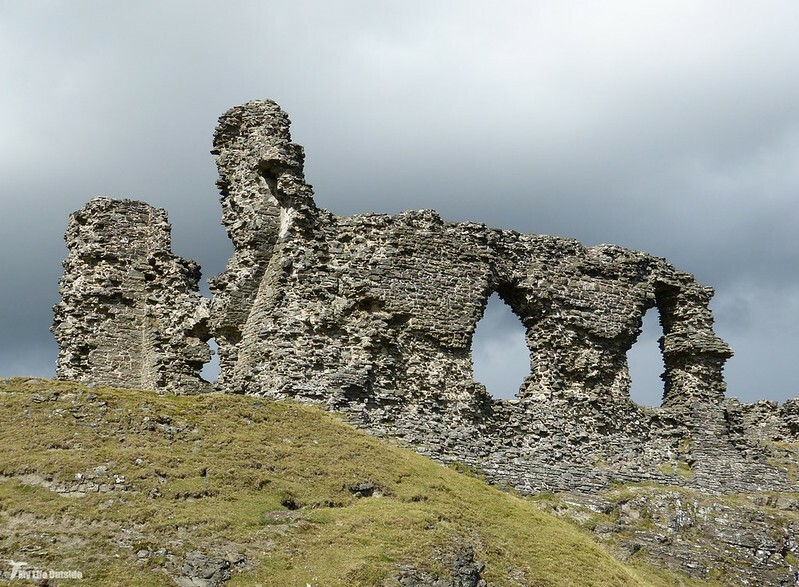 Drive into Llangollen from the English border and it's hard to miss the imposing ruins of Castell Dinas Bran. Sitting atop an outcrop of rock high above the Dee valley it's widely regarded as one of the most spectacular sites in Britain and is a place that has always fascinated me. As a child passing through on family holidays its distinctive arches reminded me more of a church than anything else and for many years I've harboured a desire to climb up and investigate further. Over the August bank holiday that opportunity finally arrived and after making the steep ascent we got to experience "Crow Castle" first hand. Initial impressions, after obligatory exclamations over the expansive views of course, were surprise at just how large an area the remains actually cover. From way down in the valley you expect a couple of walls and not much else but the reality couldn't be further removed. A large plateau is bordered on all sides with sections of curtain wall while elsewhere a keep and gatehouse are still vaguely recognisable. Nearby sits a trio of enlarged windows leading into the Great Hall which are only surpassed for scale by the 20ft deep defensive ditch along the castles southern border. Cut through rock the effort involved in its construction would have been immense and seems perhaps a little unnecessary given the castles highly defensible position. Given this scale it's a shame that the castle was only occupied for less than thirty years. 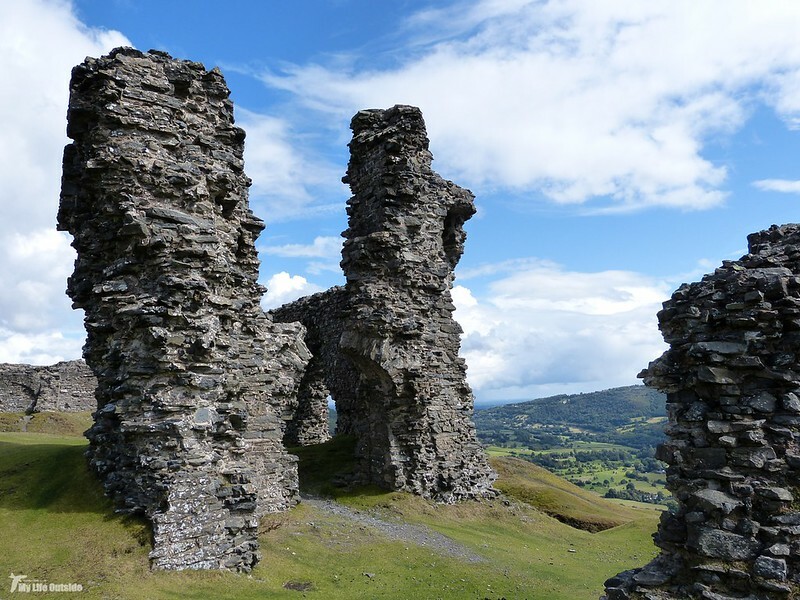 Built in the 1260's by Gruffydd Il ap Madog it was passed down the family line and fell in and out of Welsh hands until a final battle sometime around 1282 saw the English regain possession and ownership pass to John de Warenne, Earl of Surrey. Instead of rebuilding however he left the castle as a ruin and that, as they say, was that. The limestone cliff seen in several of the photos above is just as impressive as the castle itself and for this section at least follows the course of Offa's Dyke. 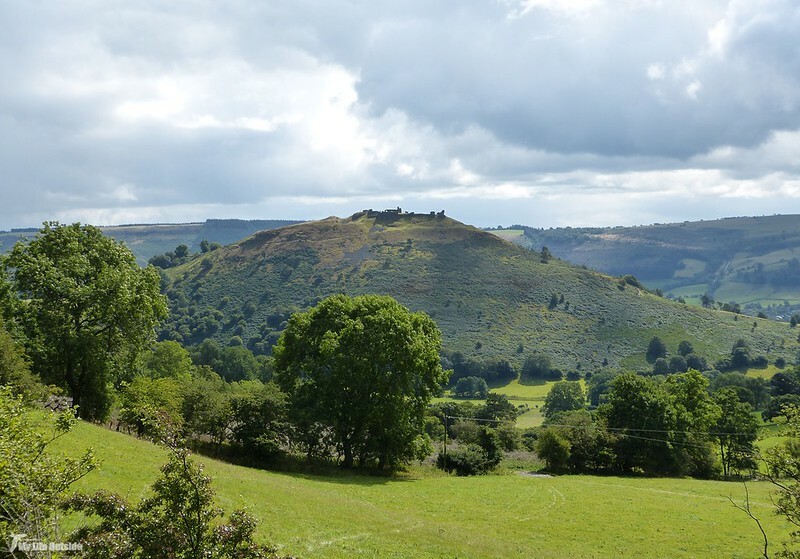 Stretching along the entire border between England and Wales this ancient boundary offers the walker a lengthy challenge and tackling it currently sits very high on my bucket list. Today though just a couple of miles would have to do. 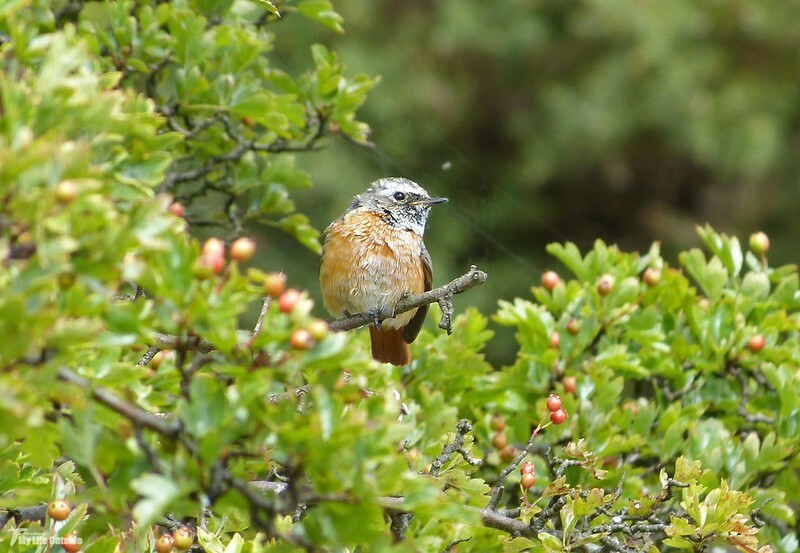 Through heavy rain showers it offered a pleasing contrast to the exposed castle and we were treated to several sightings of Redstart. Most were seen at some distance but this juvenile landed on a nearby bush and allowed me to get my best photos of the species to date. Certainly made a change from watching them in shadowy woodland. 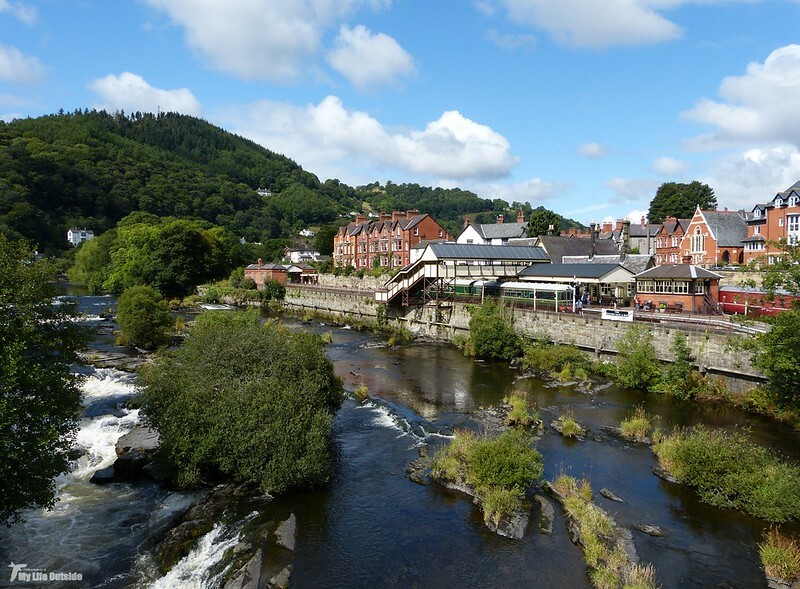 Back in Llangollen Emma managed to spot a Dipper down on the river to round off another successful day. 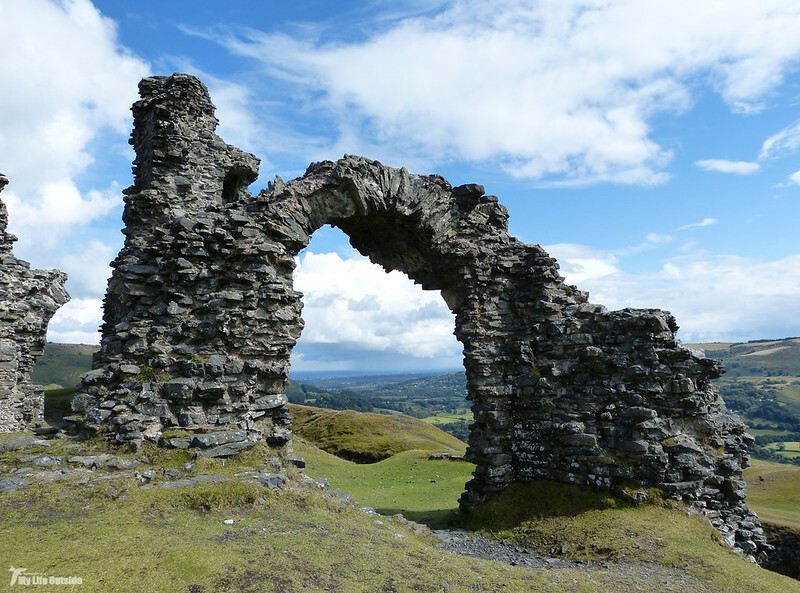 With Castell Dinas Bran now conquered it's onto my next life target which comes in the shape of a certain Munro on the Isle of Mull. Should be a good one.